Wholesale orders from galleries, gift shops, book stores and other retail stores are quite welcome. Wholesale prices are also extended to non-profit organisations using our products as fundraisers. 1) Any literature or information that will identify your firm or organisation as a retail outlet or non-profit organisation. 2) State or federal business or nonprofit ID with your state's sales tax resale or exemption certificate. If you are not incorporated, a copy of your state sales tax certificate will suffice. 3) Texas customers must provide a sales tax resle or exemption certificate. 4) Naturally, we will need your shipping address and other contact information. Please include your phone number(s) in case there are any email issues. If you have not registered by mailing in your state or federal business or nonprofit ID with your state's sales tax resale or exemption certificate, you will not be able to receive wholesale discounts. Wholesale pricing normally starts at 40% off retail with further discounts available with quantity orders over $1000.00 per order. Our normal billing method is with a PAYPAL invoice. There is no fee to the client for this service. A wide variety of custom products can be designed and printed for you, from photographic murals up to 50x150 inches, photographic tiles, laminated bookmarks, calenders, postcards, notecards, posters, and advertising literature that can be provided in large or small quantities. We can also provide stock images for advertising. Thousands of images are available. If you are looking for a specific type of image, please provide details and we can see if we have something to fill your needs. 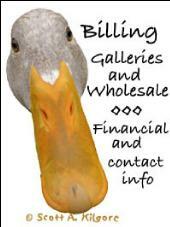 Please contact us through our wholesale area for information or a quote.